How I never moved to the Keto lifestyle sooner is beyond me. I love food, I love meat and you can eat it in abundance. It has to be a winner right? Having researched the lifestyle for weeks before I took the plunge, the one thing I noticed is that people wanted sample Keto meal plans. It is preference to call it a lifestyle as opposed to a diet as it is a total change in what you eat, why go back to bad habits once you have reached your target? Check out a host of Sim’s Life tried and tested Keto recipes here. Despite all the amazing recipes, which you can check out on my Keto Friendly Recipes Pinterest board, I quickly realised it was wise to keep it simple whilst you and your body adapted to Keto. As a creature of habit I will never get bored of the eating the same foods, especially if I know they are contributing to weight loss and improved health. Who could get bored of having bacon with scrambled egg and spinach for their lunch? There is a certain obsession with numbers and percentages when it comes to following the Keto lifestyle… macros, carb content, protein content, fat content; it is recommended to pay for the premium My Fitness Pal to help you record everything you eat to follow your personal macros. Before starting, it is wise to calculate your macros – stick by the 75% fat, 20% protein and 5% carbs rule. If you search for ‘Keto Macro Calculator’, there will be lots to choose from, but I find the Perfect Keto calculator easy to follow. 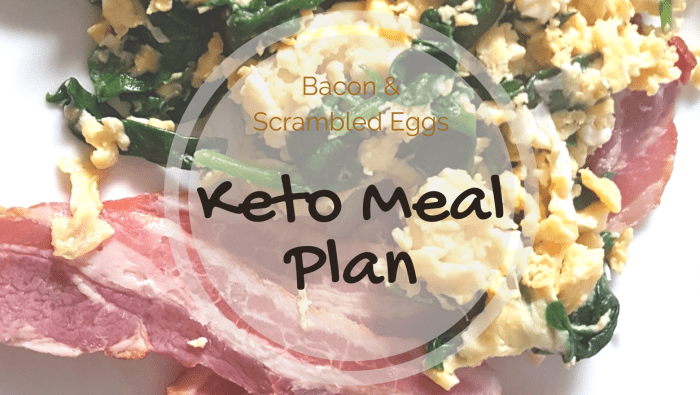 So, without further ado, here is the first of many Keto Meal Plan options for you to try! 4 x Aldi Unsmoked Bacon Rashers – 17.4g fat. 28g protein. 1.2g carbs. 2 x Aldi Medium sized Eggs – 13g fat. 14.6g protein. 0g carbs. 20g x Spinach – 0.1g fat. 0.5g protein. 0.2g carbs. 11g x Aldi Salted British Butter – 8.9g fat. 0.1g protein. 0.1g carbs. I cook my bacon in the oven as it crisps up perfectly, if you do fry your bacon remember to include extra butter when recording your food intake! When the bacon is almost cooked, I heat up a pan to allow the butter to melt alongside the spinach. When reduced in size, tip in the eggs and stir until mixed in with the spinach and cooked. Tip: I batch cook bacon and put extra rashers in the fridge so they are ready for the next day – helps to cut down on cooking and cleaning! Altogether this meal contains – 39g of fat, 43g of protein and 2g of carbs. The calories amount to 477, although calories are not something that are really considered so don’t worry too much about these. Your fat, protein and carbs are what is most important and look to keep your carbs under 20g a day. 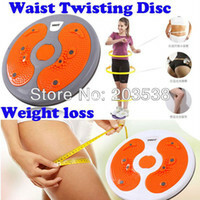 I am with you there – I have tried many total food replacement diets and albeit they work, I love food. Keto seems to be working so far and I am surprised by what I can actually eat, I wish I had known about it sooner! It’s a slightly harsher form of Atkins, but it’s actually quite enjoyable and probably not as restrictive as SW. I’ve actually found that I am a lot less bloated without pasta, rice and bread so it’s definitely working for me. I am a true meat eater, you could stop eating and drinking everything you shouldn’t and it will still never be enough… until then, bring on the meat!